Singer-songwriters Michael Waugh and Rich Davies have the knack of writing songs with relatable and all-too-real themes. They have teamed up for their first Australian tour and are stopping off at Selby to share an evening of story and song. Nominated for Best New Talent at the 2017 Golden Guitar awards, Michael Waugh gives a profound new voice to the Australian experience. His insightful storytelling cuts to the emotional heart of everyday life. 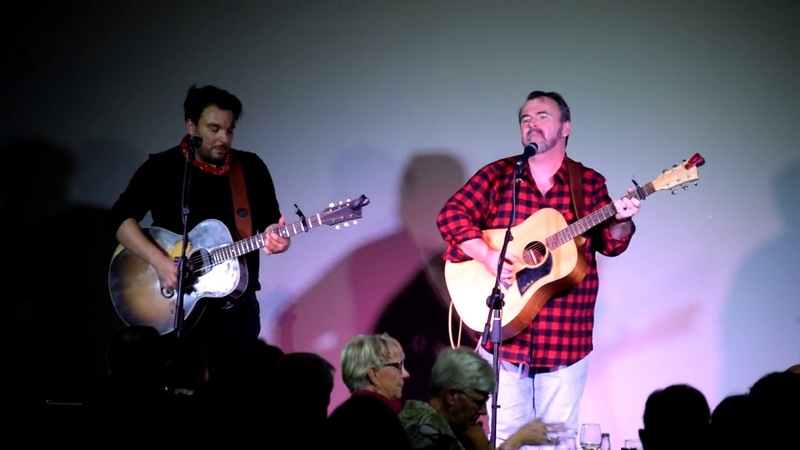 A unique, intelligent and emotionally charged performer, Waugh has been compared to the honesty and power of Australian folk and country legends, Mick Thomas, Paul Kelly and John Williamson. He is uniquely Australian and genuine – the real deal. With a poet’s heart & rocker’s soul, Rich Davies is the front man for The Low Road, renowned for their raucous live show and heart-stopping harmonies, traversing tender ballads to impassioned folk stompers. Placing song craft front and centre, with Davies’ heart-wrung voice leading the charge. The Golden Guitar 2018 nominee, with his rousing band, have been hailed as ‘The Pogues meets Springsteen’ as they peel back the skin of rock’n’roll to expose bones of folk and roots.